We offer a unique option for people in Statesville, NC with large dreams & limited budgets: modular homes! Modular Homes in Statesville NC – A home is more than just a place where you keep your personal belongings; a home is a place where you can establish memories and traditions, spend time with loved ones, and kick up your feet and relax! 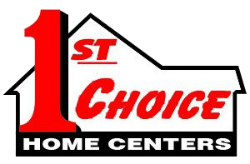 Because we know that your home is likely your most important investment, here at 1st Choice Home Centers, we want you to love the house that you’ve decided to call home. We offer a unique option for people in Statesville, North Carolina with large dreams & limited budgets: modular homes! When you’re looking for modular homes, turn to 1st Choice Home Centers for all your housing needs. We have been in the business of helping people create beautiful modular homes since 1999. Today, we have grown and expanded to many different areas of North Carolina to meet the needs of our customers. If you would like more information about financing or the housing options available to you in Statesville, NC and the surrounding areas, don’t hesitate to give us a call today!